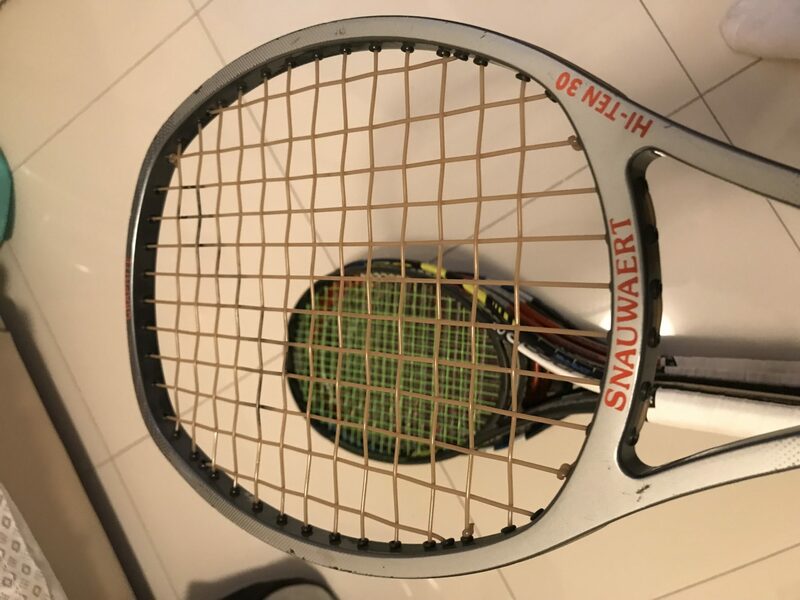 The Snauwaert Hi-Ten 30 is an ultra-rare tennis racquet from the 80s with 12×13 string pattern and really THICK strings. 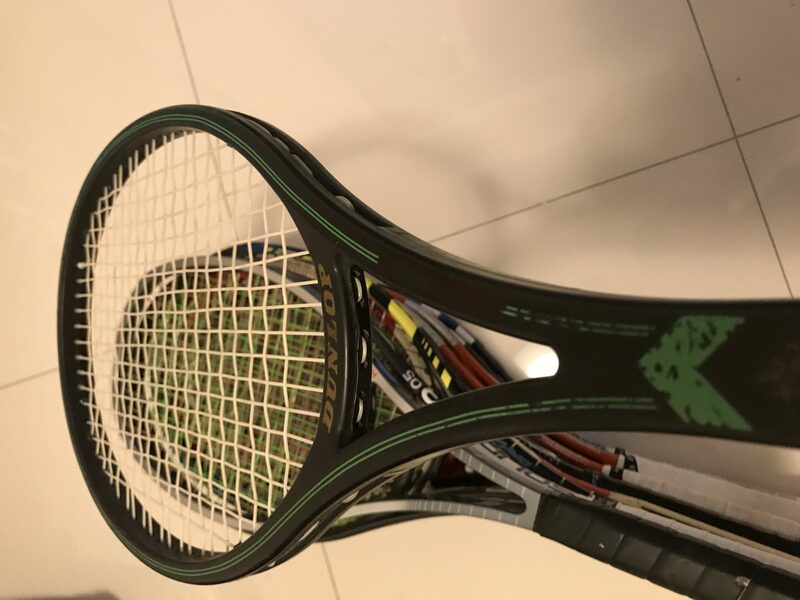 It is definitely an interesting stick for racquet collectors and tennis enthusiasts. Mark Woodforde used to play on the doubles tour with this racquet. This one has scratches at 12 o’clock but is in playable condition. 7/10.